As part of this design, we’ve also refined the color palette and letter shapes of the Google logo. We'll be rolling out this update across most Google products over the next few weeks, so keep an eye out and let us know your thoughts. 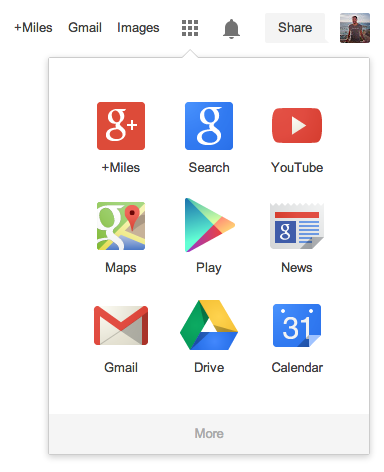 If you're anything like me, you move among devices and Google products on a regular basis. You might check Gmail on your phone, for instance, then organize your Calendar via laptop, then browse Google+ photos from your tablet.